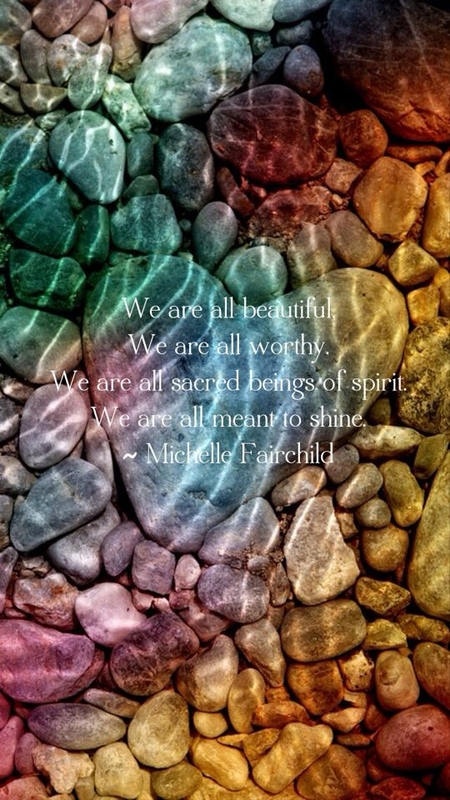 self love – We Are All Meant to Shine! 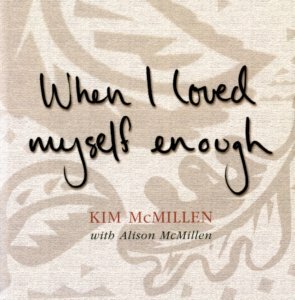 When I Loved Myself Enough began as one woman’s gift to the world, hand made by Kim McMillen and given to her friends. As word spread, its heartfelt honesty won it a growing following. For many years I lived with a guarded heart. I did not know how to extend love and compassion to myself. In my fortieth year that began changing. In April of 2009 I had turned forty. There were events going on in my life at that particular time that were very difficult. In May, just weeks after my birthday, I won this book from a web site called Intrinsic. It was mailed to me all the way from Australia, yet in some ways it seemed more like a gift from the Universe, as it contained a message I so desperately needed to hear. As I grew to love all of who I am, life started changing in beautiful and mysterious ways. My heart softened and I began to see through very different eyes. 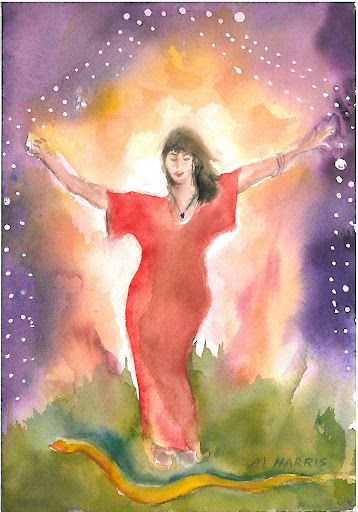 My commitment to follow this calling grew strong and in the process a divine intelligence came to guide my life. I believe this ever-present resource is grace, and is available to us all. 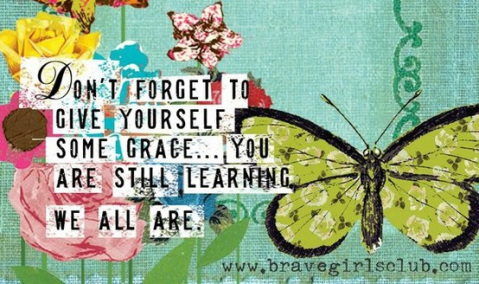 For the past twelve years I have been learning to recognize and accept this gift. 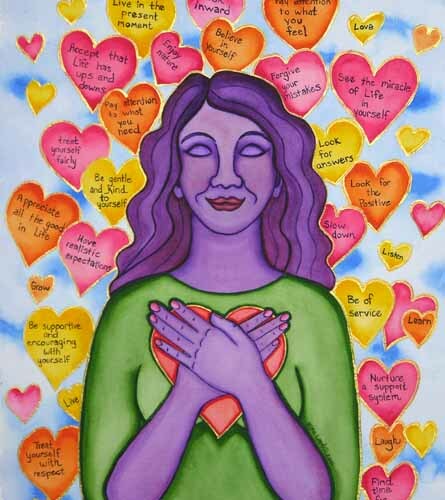 Cultivating love and compassion for myself made it possible. The following steps are uniquely mine. Yours will look different. But I do hope mine give voice to a hunger you may share. I ended up gifting this book to about fifteen women the summer of 2009. I wanted to share the profoundly simple message it contained within with both friends and family. I quit settling for too little. I came to know my own goodness. I began taking the gift of life seriously and gratefully. I began to know I was in the right place at the right time and I could relax. I felt compelled to slow down – way down. And that has made all the difference. I bought a feather bed. I came to love being alone, surrounded by silence, awed by its spell, listening to inner space. I came to see I am not special but I am unique. I redefined success and life became simple. Oh, the pleasure of that. I came to know I am worthy of knowing God directly. I gave up the belief that life is hard. I came to see emotional pain is a signal I am operating outside truth. 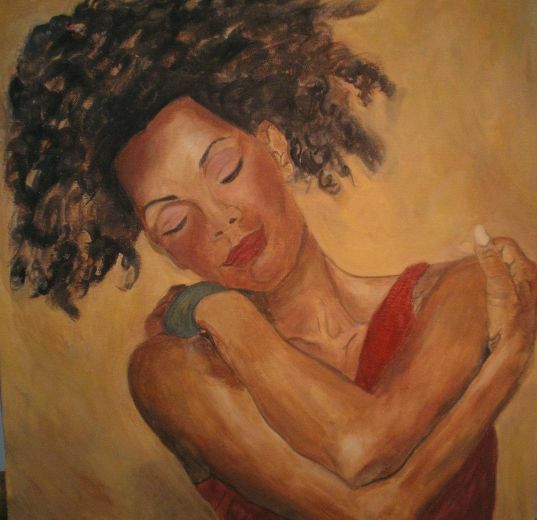 I learned to meet my own needs and not call it selfish. The parts of me long-ignored, the orphans of my soul, quit vying for attention. That was the beginning of inner peace. Then I began seeing clearly. I quit ignoring or tolerating my pain. I started feeling all my feelings, not analyzing them — really feeling them. When I do, something amazing happens. Try it. You will see. My hear became so tender it could welcome joy and sorrow equally. I came to feel like a gift to the world and I collected beautiful ribbons and bows. They still hang on my wall to remind me. I learned to ask ‘Who in me is feeling this way?’ when I feel anxious, angry, restless or sad. If I listen patiently I discover who needs my love. I no longer needed things or people to make me feel safe. I quite wishing my life looked some other way and began to see that as it is, my life serves my evolution. I quit exhausting myself by trying so hard. When I loved myself enough I began to feel a community within. This inner team with diverse talents and idiosyncrasies is my strength and my potential. We hold team meetings. I began walking and taking the stairs every chance I got, and choosing the scenic route. I became my own authority by listening to the wisdom of my heart. This is how God speaks to me. This is intuition. I began feeling such relief. The impulsive part of me learned to wait for the right time. Then I became clear and unafraid. I began leaving whatever wasn’t healthy. This meant people, jobs, my own beliefs and habits — anything that kept me small. My judgement called it disloyal. 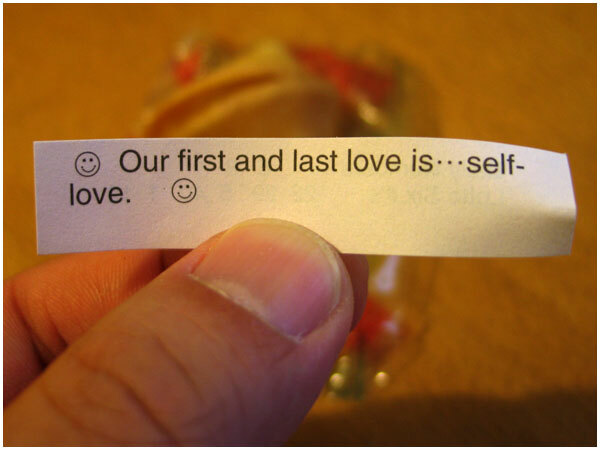 Now I see it as self-loving. I gave up perfectionism – that killer of joy. I started writing about my life and views because I knew this was my right and my responsibility. I began to see my purpose and gently wean myself from distractions. I learned to say no when I want to and yes when I want to. I could see how funny life is, how funny I am and how funny you are. I recognized my courage and fear, my naivety and wisdom, and I make a place for each at my table. I started treating myself to a massage at least once a month. I realized I am never alone. I stopped fearing empty time and quit making plans. Now I do what feels right and am in step with my own rhythms. Delicious! I quit trying to be a savior for others. I lost my fear of speaking my truth for I have come to see how good it is. When I loved myself enough I began pouring my feeling into my journals. These loving companions speak my language. No translation needed. I stopped seeking ‘experts’ and started living my life. I could be at ease with the comings and goings of judgment and despair. I quit having to be right which makes being wrong meaningless. I learned to grieve for the hurts in life when they happen instead of making my heart heavy from lugging them around. I forgave myself for all the times I thought I wasn’t good enough. I began listening to the wisdom of my body. It speaks so clearly through its fatigue, sensitivities, aversions and hungers. I quit fearing my fear. When I loved myself enough I quit rehashing the past and worrying about the future which keeps me in the present where aliveness lives. I began to taste freedom. I found my voice and wrote this little book. I have included much of the book in this post, but not all. There are more nuggets of wisdom in the book that you may wish to explore on your own. Do you find yourself connecting with some of the author’s statements? Which ones? Try writing some of your own declarations by starting with When I loved myself enough…The author shares at the very end when she loved herself enough she found her voice and wrote this little book. What would you do if you loved yourself enough? If you were going to write a book what would you call it? My mother died in September of 1996, at he age of 52, only a few short months after writing this book. She was not ill and did not know that she was going to die. Her death was sudden and it deeply shocked everyone who knew her. It has been very difficult for me, as well as her friends and family, to cope with life without her. She died too young, and I am aware of her absence every waking moment. One thing that has made grieving for her more tolerable has been this book. Following her lead, I continued to publish it out of my home. It has been extremely rewarding work. I have received countless letters and phone calls from people all over the world who have been touched by the wisdom of my mom’s words. They tell me that they feel as though, through the book, they have come to know Kim McMillen. I could not agree more. This book is my mother. It’s message is what she spent years meditating on, reading and writing about, and experiencing. It is everything she believed in, and everything she brought me up to believe in. It is her autobiography, her declaration, her soul. 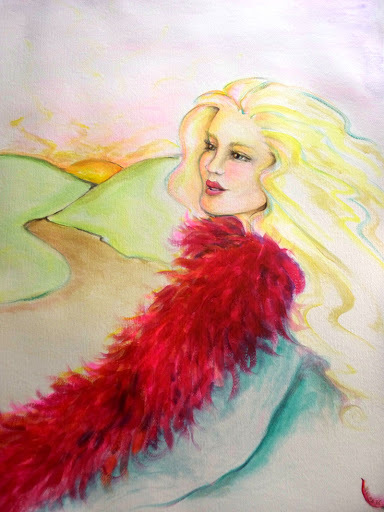 Even though she didn’t know she was nearing the end of her life, she knew on some level that she had to express the things that she had learned to be true. 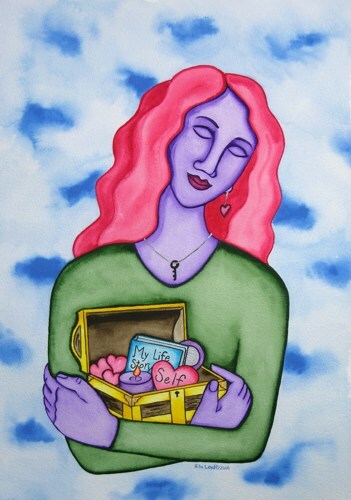 After many years filled with self-doubt and self-criticism, she decided to devote herself to finding self-compassion. When she did, and was able to write her findings down for others to read, her life was complete, and sadly came to an end. I have a constant ache in my heart, a longing to see her again in this world. She was an amazing mother, friend, writer, business consultant, chaplain, river runner, dog lover, neighbor and woman. Although I miss her terribly, I am comforted by the knowledge that, as this book is the truest expression of who my mom was, in its continued existence what she had to offer to the world will live on.